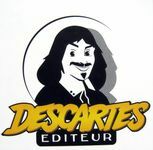 Descartes Editeur is a French publisher of games. Descartes used different brands: Descartes, Games for 2, Blue Games or Eurogame. Descartes was launched in 1978 by Peter Watts.